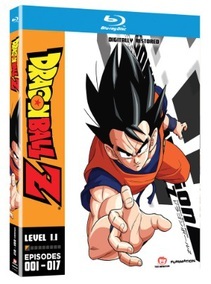 For the first time in any corner of the galaxy, Dragon Ball Z is available in HD on Bluray! This collection presents the first seventeen episodes of DBZ in unparalleled picture quality. The classic 4:3 format is captured in true 1080p HD with the original, director-approved color scheme!